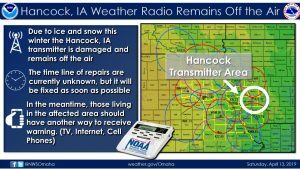 Officials with the National Weather Service remind area listeners, that the weather radio transmitter site at Hancock remains off-air due to ice and snow this past winter, and it’s not known how long the repairs will take, but the transmitter will be repaired as quickly as possible. 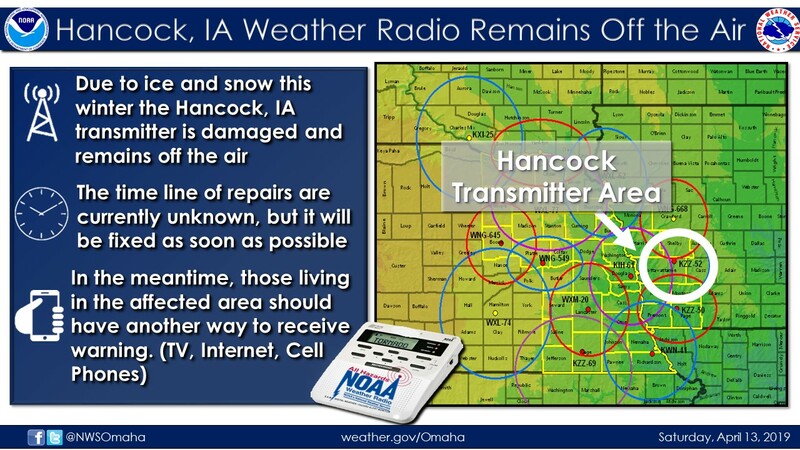 If you have a weather radio you will not be able to receive warnings for storms in Cass and Audubon Counties. 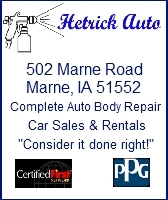 You should have other forms of staying alert to changing weather situations, by cell phone, radio or tv. Subscribe to your county’s Emergency Alert Notices through your Emergency Management Agency for immediate weather and civil emergency bulletings.